CoolSculpting – The Reviews Are In! There is something about the New Year that makes us feel hopeful. As we clear away the papers and minutiae of the past year—we are faced with a clean slate and an opportunity to redefine our goals and priorities. For many, this includes a renewed focus on inner and outer health for both the mind and the body. The goal? To be happy and healthy and the best version of ourselves possible. CoolSculpting is one of the most popular fat reduction treatments worldwide (we’ll let that sink in a moment). It works by freezing the targeted fat cells in problem areas that are resistant to diet and exercise. CoolSculpting is effective on the stomach (upper and lower abdomen), inner thighs, back fat, bra bulge, love handles and arms. Vancouver CoolSculpting is also used to redefine the jawline by treating a double or triple chin. 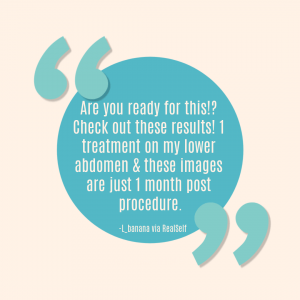 Tummy pooch is a top concern of our patients—and many women visit our clinic to slim their stomach after having children or after menopause when fat stores increase. Abdominal fat affects men and women of all shapes, sizes and ages—from young and slender—to middle aged and beyond. This area is notoriously difficult to reduce through diet and exercise alone. We have had fabulous results for our EverYoung patients in Vancouver at both our Burnaby and Port Coquitlam locations. Above are actual reviews by our clients following a CoolSculpting treatment regime at EverYoung Medical Aesthetics. There is nothing worse than putting on a flattering top—and seeing bulges when you look in the mirror. Excess fat on the back or around the hips is common, and resistant to diet and exercise. This area responds beautifully to CoolSculpting, as the machine targets the fat cells contained in the specific area to help dissolve fat from the problem area for smoother contours. CoolSculpting targets fat on the inner thighs to give more definition to the area for a slimmer, more contoured, silhouette—and better fitting jeans weather you’re sitting or standing. 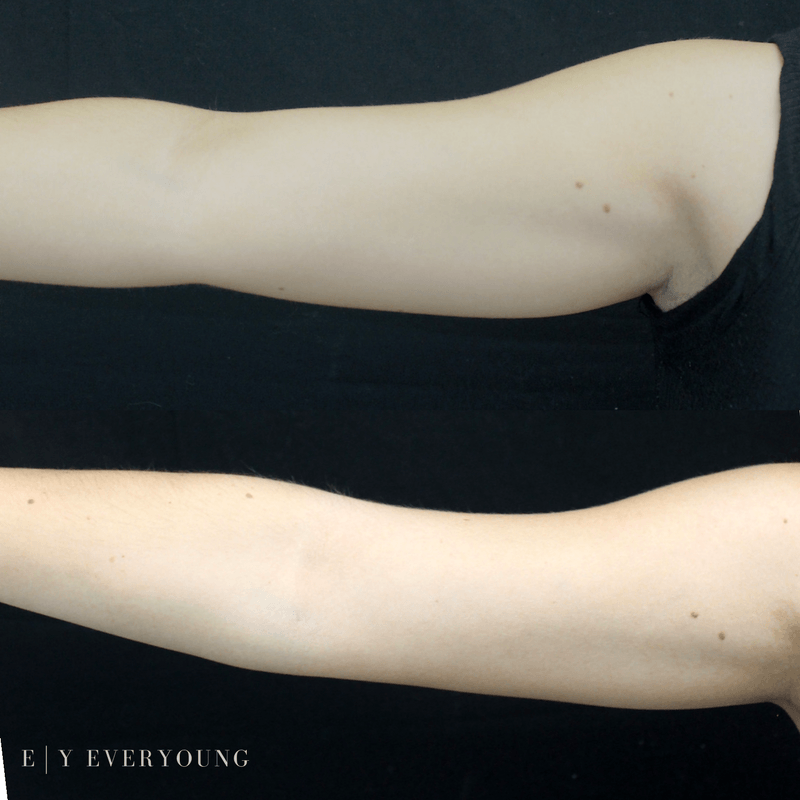 If you feel you have to hide your arms because of “batwings” or excess fat that makes your upper arms appear heavy, CoolSculpting will help reduce the fat and tone the area. Amp up your body confidence so you can stop dreading short-sleeve weather and wear what you love! The CoolSculpting fat-freezing procedure is non-surgical and uses controlled cooling to eliminate stubborn fat that resists all efforts through diet and exercise. The results are proven, noticeable, and lasting—so you’ll look great from every angle. Best of luck to all of you on your journey! Our warm and caring doctors and staff in Burnaby and Port Coquitlam would love to help you achieve your body goals. Make this the year it happens by booking a consultation!